Bread is one of the daily foods of Brazilian diet. Therefore, to partially supply the high national consumption of wheat flour, Brazil grows annually 2.08 million hectares of wheat. Parana state, which is located in the south of Brazil, grows every winter 1.02 million hectares of wheat. Aiming to enter the wheat foliar market, Leal & Schumaikel, Haifa South America distributor in Paraná state, together with Integrada, a cooperative of grain growers in Paraná state, has run a commercial test with foliar spraying of Poly-feed 19-19-19+ME in wheat. The foliar spraying was at 4.1 Kg/ha, split in two different stages: one was 20-25 days after sowing (tillering period) and the other - 40 days after sowing (end of the jointing period). 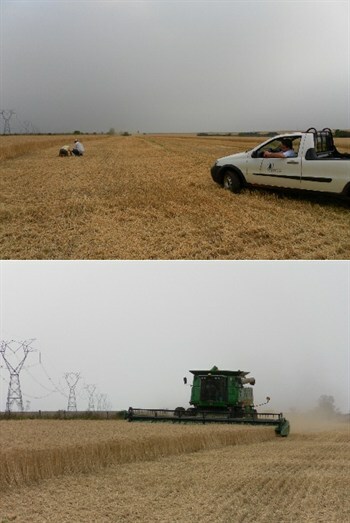 Six hectares were sprayed with Poly-feed. The results and economic analysis are presented below. The great results show that the use in Poly-Feed is providing more yields, and as a consequence – more profit. And that's excellent news for wheat growers.